Feel like you stepped out of the pages of a comic book with this superhero-themed bopper inflate! Inspired by the drawings of your favorite comics, this inflate is decorated with action word bubbles such as "Pow!" 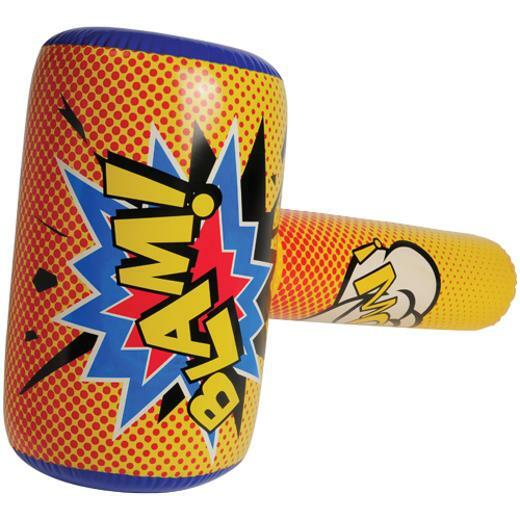 and "Blam!". Kids will love this novelty inflate, making it an ideal party favor getaway at your next superhero event! L: 7.95 in. W: 1.95 in. H: 8.8 in.